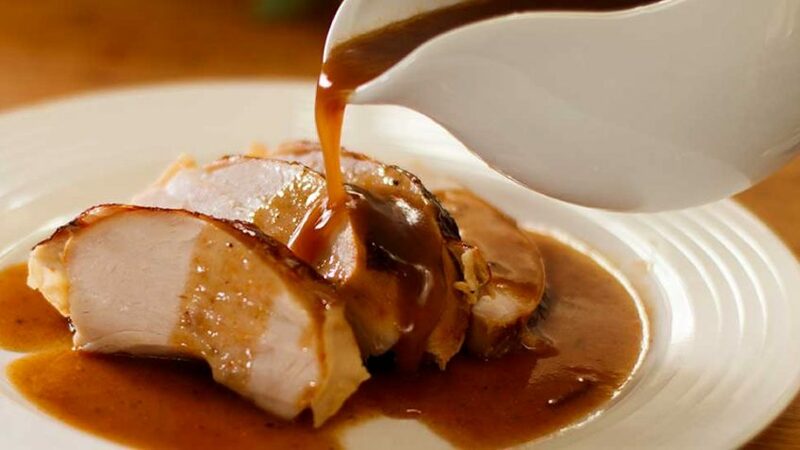 This is quite a simple roast turkey recipe with easy to make gravy. 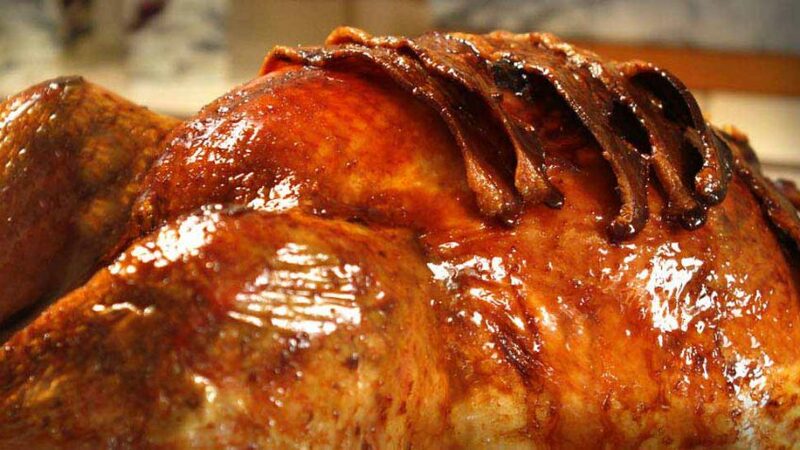 The secret to any moist roast turkey is not only the right cooking method but ample resting time. Separating the skin makes it crispier and the butter helps moisten and self baste the breast meat. Works with standard or brined turkeys. This recipe is fail safe if you follow the exact cooking guides on the website. If the turkey is over 4kg, calculate 20 min per kg + 90 min. If the bird is under 4kg, calculate 20 min per kg + 70 min. If the turkey is over 8 pounds, calculate 20 min per 2lbs + 90 min. 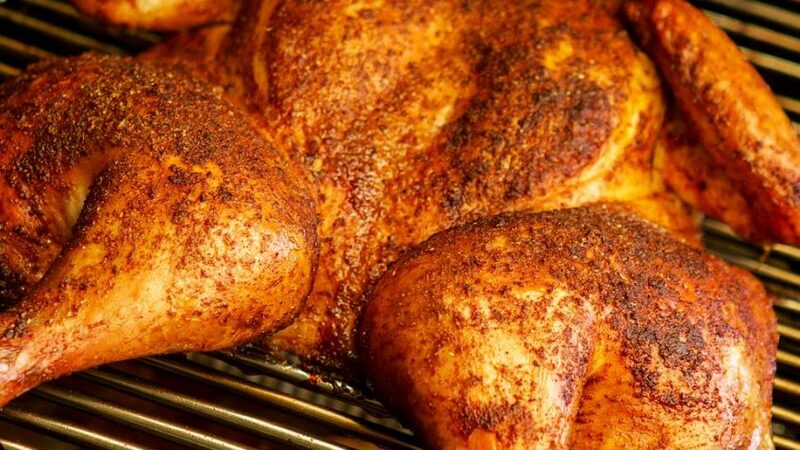 If the bird is under 8 pounds, calculate 20 min per 2lbs + 70 min. Note this guide is an approximation guide only, as there are different turkey breeds, ovens and conditions that can affect the cooking times. To be certain always use a probe thermometer. See below. 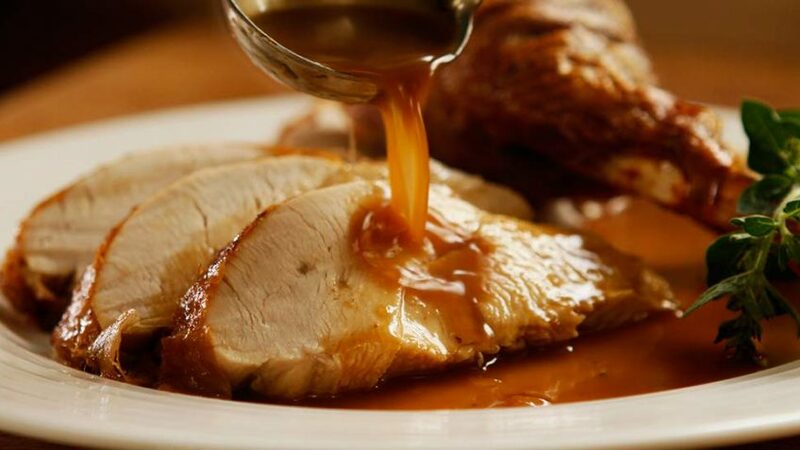 Best meat temperature to remove turkey from oven is *155ºF - 68ºC. Rest for 60-90 minutes. *(Recommended for health reason) is 165ºF - 74ºC but the meat will be a little dryer. Remove turkey from fridge, and bring to room temperature (30 to 60 minutes). Remove the neck plus any giblets or sacks from inside the cavity. Tuck back the wings underneath to prevent the tips from burning (see video). Place the soft butter in a mixing bowl. Season with pepper. Grate lemon zest and minced garlic cloves. Combine ingredients, using your washed hands or a standard fork. Gently separate the skin from the breast flesh by running your finger in between. Do both breasts. Using your fingers, stuff the butter mixture under the skin pushing more than half way up the centre of the breast. Do both breasts. Season the cavity with salt. Into the cavity, add two lemon wedges (same zested lemon), thyme and the bay leaves. Pat the turkey dry with paper or clean kitchen towel. Drizzle with olive oil and massage well ensuring the whole bird is nicely coated including underneath. 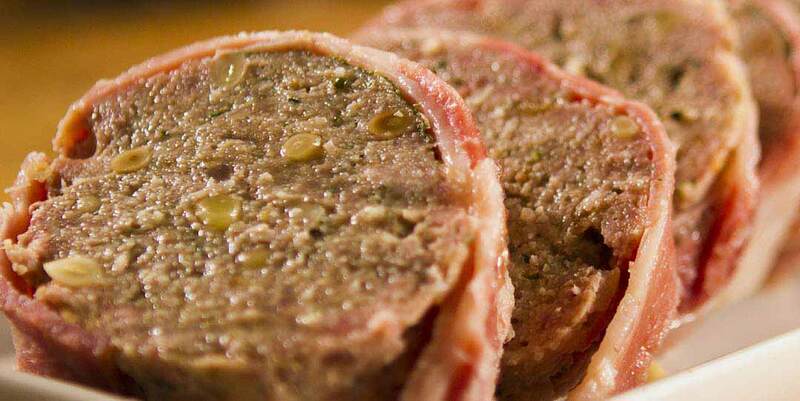 Cover the breasts with kitchen foil and bake in preheated oven for 30 min at 350°F – 180°C. Remove foil, lower temperature to 320°F – 160°C and continue cooking (see guide on this page for cooking times). As an option, you can baste the turkey every 15 to 30 minutes to avoid it drying. Once cooked, remove from oven, place bird on warmed plate, cover with foil, add a few kitchen towels to retain the heat. Leave to rest at least 60 minutes before carving. 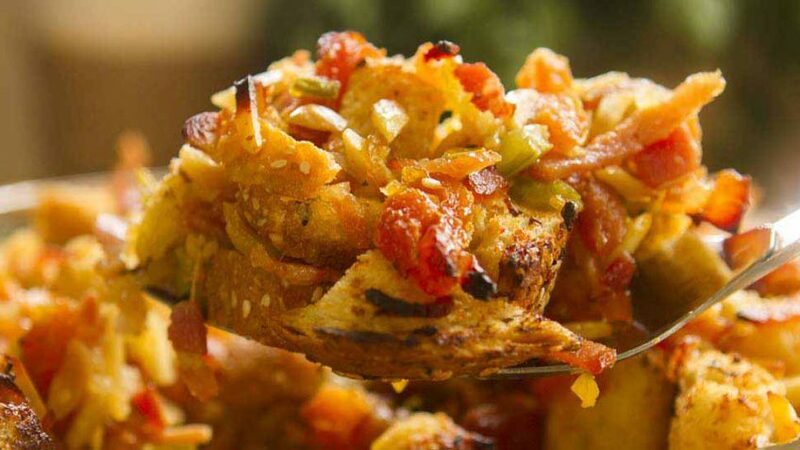 In the same roasting pan, place on your stove, add one tbsp of flour to the vegetables and mix well over moderate heat. Remove the neck and strain gravy mixture into saucepan. Use a whisk or a spoon to help the liquid fall through. Place over low heat and bring to a simmer. Add the cranberry sauce and check for seasoning. Cooked leftover turkey will keep refrigerated for three days. To test if it's done, make sure the juices run clear when you pierce the thigh. If juices appear pinkish, put it back in the oven for another 20 min, then try again. A turkey can take 3 to 4 days to thaw out in your fridge, therefore if buying frozen, buy in advance. Although you don't need to brine your turkey, brining will help keep those breasts even juicier. 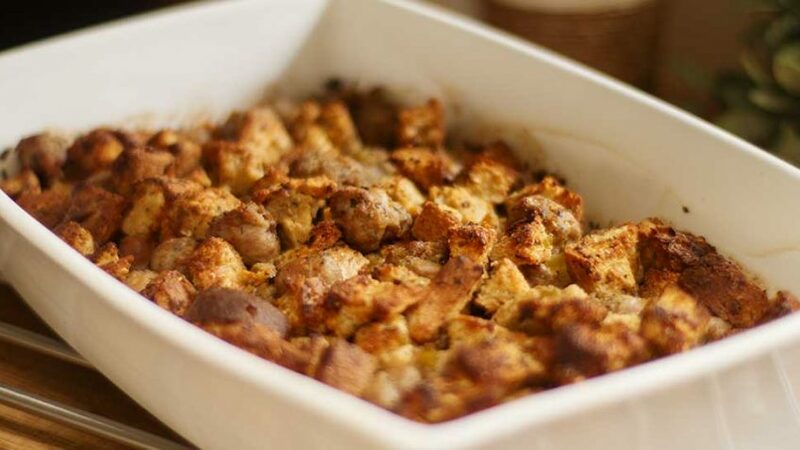 Placing any stuffing inside the cavity (as opposed to neck) will slow down your cooking process.